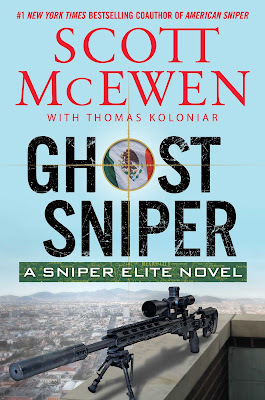 My review of Scott McEwen and Thomas Koloniar's Ghost Sniper appeared in the Washington Times. With the take-down of Osama bin Laden, the most wanted man in the world, and other bold and brave military actions, the U.S. Navy SEALs and other special operations groups are respected and admired greatly. Although the elite special operators perform in a high state of operational security and secrecy, much has been written about them, as the public is very interested in these seemingly larger-than-life military men. In addition to many nonfiction accounts of their military actions, a good number of thrillers offer Navy SEALs and other special operators as fictional heroes. 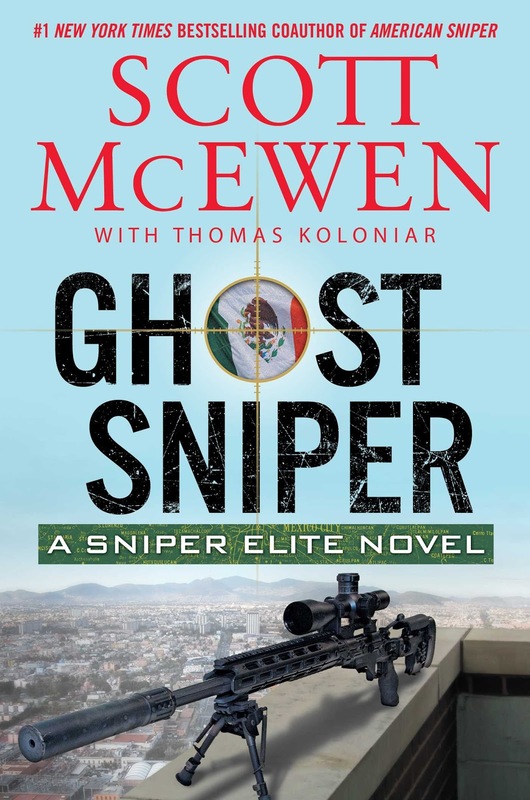 A case in point is Scott McEwen and Thomas Koloniar’s “Sniper Elite” series of thrillers. “Ghost Sniper,” the latest thriller in the series, brings back Navy SEAL and Master Chief Gil Shannon and his comrade-in-arms, Daniel Crosswhite, a retired U.S. Army Delta Force operator and Medal of Honor recipient. The action takes place south of the border in this novel as the special operators take on a particularly vicious and ruthless Mexican drug cartel with highly-placed political connections.